At Five5eeds, we’re bringing great coffee, great food and exceptional service to the folks of Utah. A menu that screams nourishment almost as loudly as it does flavor, where dishes are crafted from the best in local, seasonal produce, with a definitive nod to the famed Australian foodie culture from where we hail. Our team has created an environment where all the good things in life can best be appreciated: food, lifestyle and serious coffee. beetroot hummus, dukkah, seeds and feta, fresh herbs and pickled zucchini / add a poached egg * + 2 vg. / gf. by req. n.
braised lamb, garbanzo beans, beets, caulilini, chimichurri sauce, fresh herbs and vegetable salad. gf. ^ Due to the freshness of our produce availability may vary. 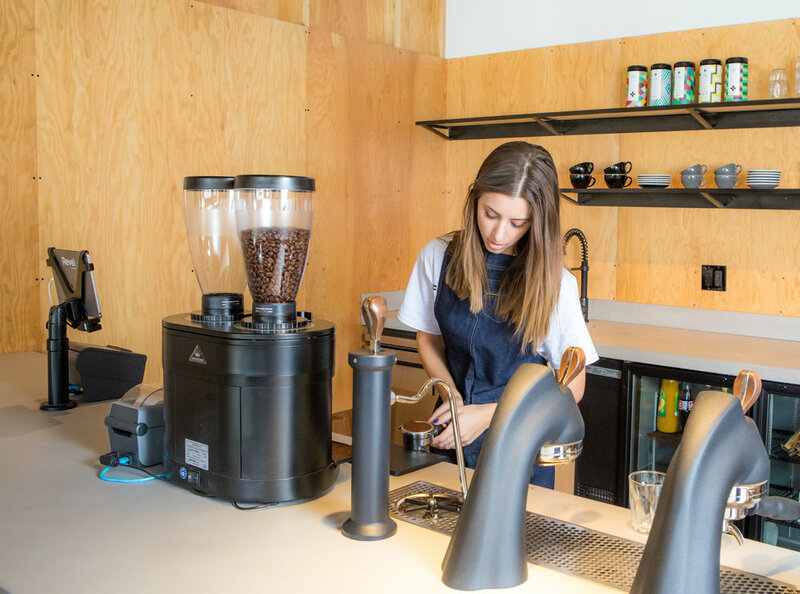 The Aussies have invaded Park City and Five5eeds is leading the charge in bringing good coffee and good food to the States, or at least Park City. Opened by an Australian couple from Melbourne, the name was inspired by their 5 seedlings (children). Aussies love their breakfast and lunch and Five5eeds brings the flavour and freshness to the menu with Smashed Avo on Toast, Shakshuka and Eggs Benedict. If you swing by for lunch, try the Asian Chicken Salad, it’s fantastic. And then there’s Five5eeds owned by another Australian couple who even flew their head chef back to their home town of Melbourne for inspiration — the hot cakes are almost too beautiful to eat. Andrew and Tiffany Percy opened this café hoping to replicate the breakfast-all-day cafés — or brekkies — they enjoyed while growing up in Australia. It's the second Down Under eatery to open in Park City in recent months. (See Harvest below.) While both serve vegemite and toast with a smashed avocado and a poached egg, the menus differ. At Five5eeds, named for the Percys' five children, the menu also includes shakshouska, Moroccan baked eggs topped with goat curd and aromatic dukkah (a spice blend that includes hazelnuts, sesame seeds, coriander, cumin and peppercorns); and crumbed chook, breaded and fried chicken topped with apple and jalapeño slaw. The restaurant, near the state liquor store and market, also serves imported Australian coffee. Prices from $6-$16.50 Open daily, 7:30 a.m. to 3 p.m.; 1600 Snow Creek Drive; 435-901-8242 or five5eeds.com .